i make these for my dad to eat as fuel before his weekly eighty mile bike rides (he’s crazy). 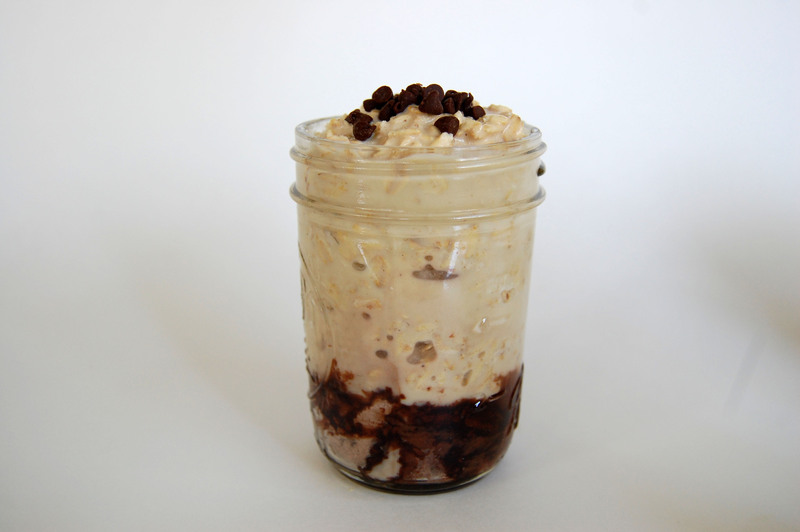 the jars are easy to grab in the morning, very customizable, and packed with carbs and protein to ensure long-lasting energy. 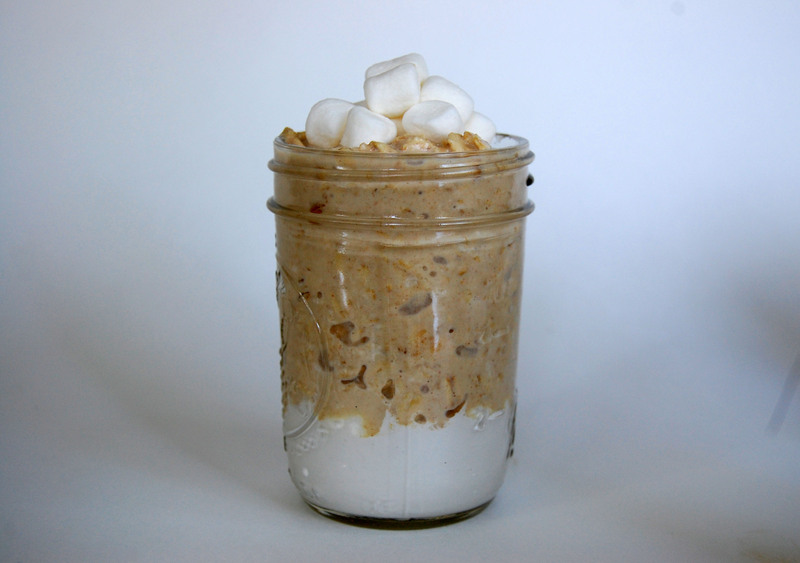 oatmeal is perfect for athletes, but i think it should be a staple in everyone’s diet. tasty, healthy, versatile, inexpensive, etc etc etc etc!!! make these, dust off your bike, and go for a ride. or just eat them while watching the tour de france, that’s good too. 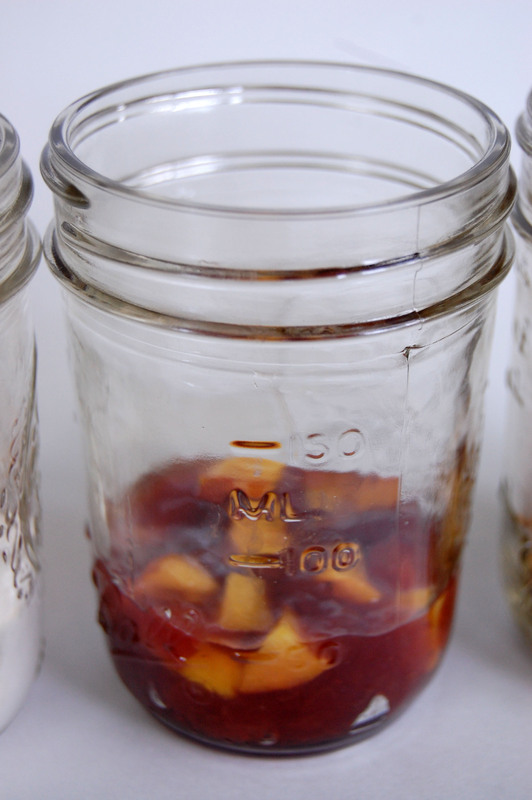 mix all ingredients together in a large bowl and refrigerate for at least 2 hours, or until ready to assemble jars. once assembled, keep refrigerated for up to a month. cookie dough – roll balls of cookie dough and squish them into the bottom of the jar (i used leftover dough from these). sprinkle with mini chocolate chips. cinnamon raisin – mix a few tablespoons of brown sugar with some cinnamon and graham cracker crumbs, if desired. pack into the jar and top with raisins. pb & j – spoon a few tablespoons of jam into the jar. sprinkle with fresh fruit. brownie batter – mix a few tablespoons of brownie mix with some nutella and milk (i used chocolate milk). spoon into jar. 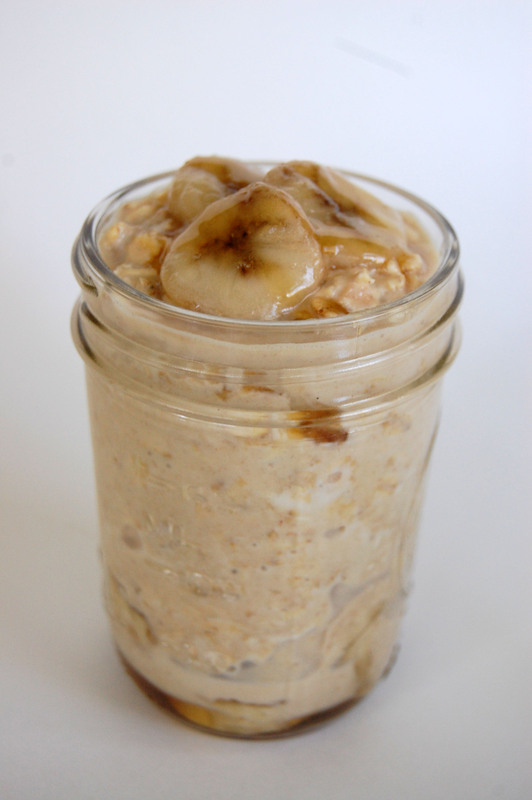 honey banana – thinly slice half a banana and layer the pieces concentrically into the jar. drizzle with honey. fluffernutter – mix a few tablespoons of marshmallow fluff with mini marshmallows. spoon into jar. 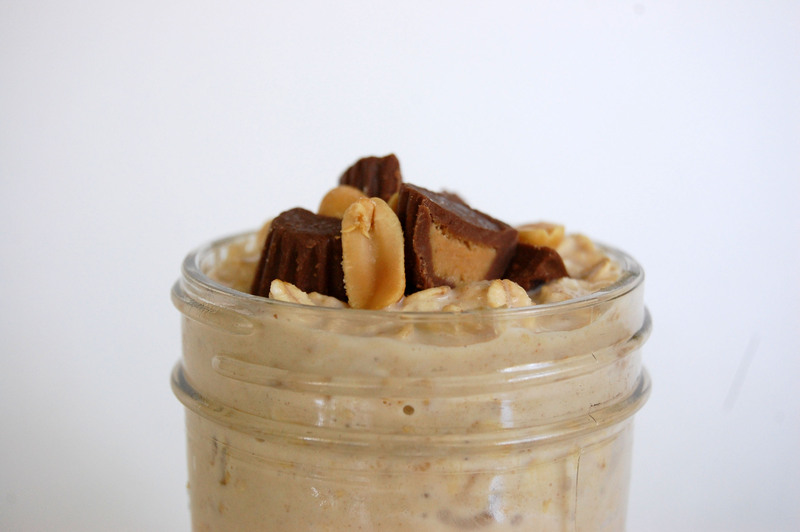 chocolate peanut butter – cut up a reece’s cup or a handful of minis and sprinkle into the jar. top with halved peanuts. Vive la Tour! Vive Lena!